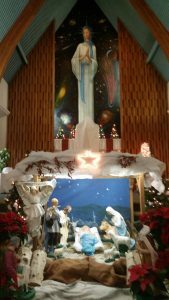 This is Nativity Scene at ‘Notre Dame de la Paix Catholic Church in Timmins, Ontario. 2016. 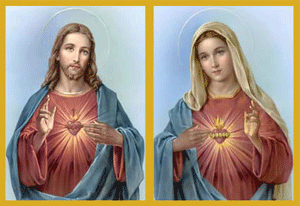 Below are the words of the Christmas Carol: “Jesus, You Were Born Today.” It was composed by Cyril D. Winter in 1987. The song is performed on this video https://www.youtube.com/watch?v=oUWOaRZ2sUw&index=2&list=UUMlSmSp8wHsfxMZy5PSPqYA by Vladimir Vassin. singing the Christmas Carol he wrote with the music performed by Vladimir Vassin in the background. and his Twitter https://twitter.com/cypoe . I must add that as we were preparing to do the video Cyril said: “Jesus, You were born to die for our salvation.” This says it all. Enjoy the song. Jesus, You Were Born Today. In that little bed of hay. For we who’ve gone astray? What life they did sow! With joy they’d see you grow. What was then foretold for you. As mamma sings a lullaby. Because you were born today. Post organized by Donald Andre Bruneau, January 21, 2017.